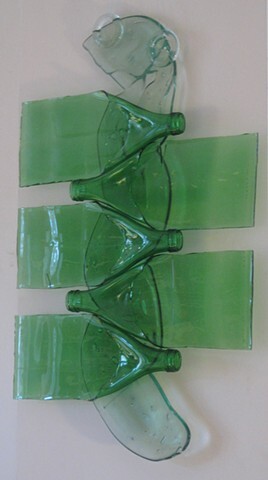 24"h x 15"w x 1 1/2"
Slumped and fused bottoms, lightly slumped green bottles. Home of the Boston Red Sox, Fenway Park's unique feature is the left field wall, the Green Monster. And the Fenway is an urban park that's home to many wild creatures adapted to city life.